Old forms of governance in both public and private sectors are becoming increasingly irrelevant because of rapidly changing conditions. Because of these changes, both governance processes and the scope of the institutions through which power is exercised throughout society may have to undergo a radical break with the past and prevailing models of governance. Water sector is an integral part of the global system. Consequently, its governance processes and the institutions responsible for its management must change as well in order to cope with the current challenges and potential future changes. Because of these current and future changes, water governance may have to change more during the next 20 years compared to the past 2000 years, if societal expectations are to be successfully met. All these changes will make water governance more complex than ever before witnessed in human history. Improving water governance will require good and objective analyses of case studies from different parts of the world as to what has worked, why and the enabling environments under which good governance has been possible. 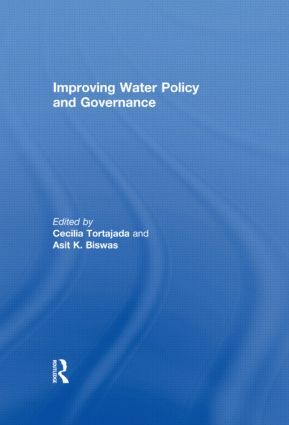 The present volume analyses case studies of good water governance from different parts of the world, and for different water use sectors. It concludes with an analysis of the critical issues that should be considered for water governance and a priority research agenda for improving water governance in the future.